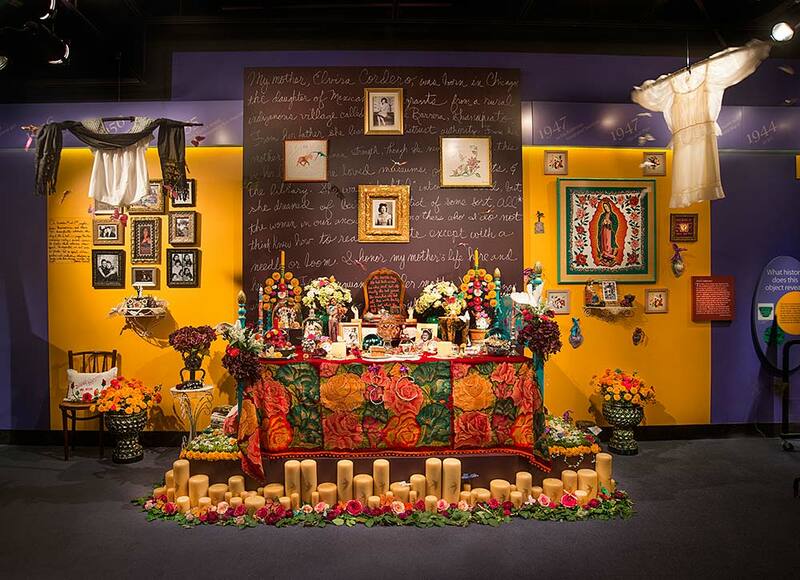 Acclaimed author Sandra Cisneros created an installation in the tradition of "Dia de Muertos" to honor her mother, Elvira Cordero Cisneros. 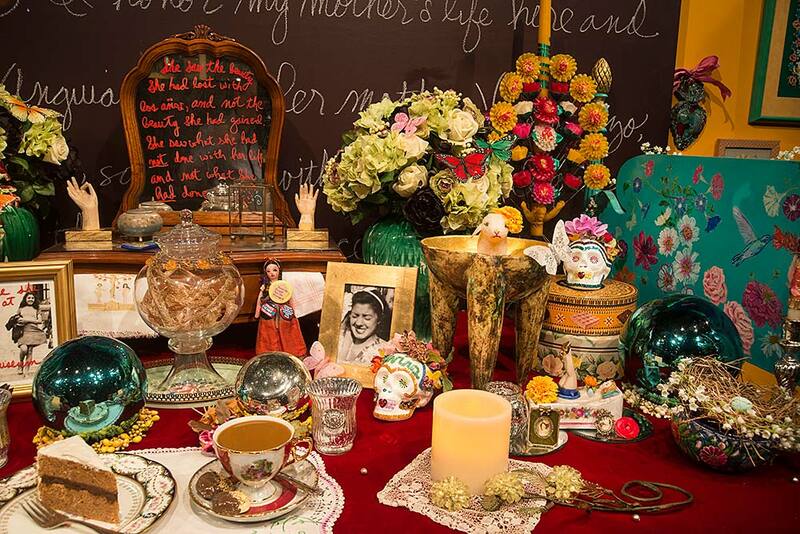 Commenting on this work, Cisneros writes, "My mother never had a room of her own until the last 10 years of her life. She relished her room and often locked the door when the grand kids came so they wouldn't touch and destroy her things. She was a gardener, and loved her flowers. So I have tried to incorporate a garden bedroom in my installation with items from my mother's room and books from her bedside. She had a knack for finding antiques, and putting odd things together."